In the case of Rubes v. Kohl’s Department Stores, Inc., 3:17-CV-1842 (M.D. Pa. June 29, 2018 Munley, J. ), the court granted summary judgment in a slip and fall case. In his decision, Judge James M. Munley of the Federal Middle District Court of Pennsylvania confirmed the well-established law that the mere occurrence of an accident does not establish negligent conduct on the part of another. In his Opinion, Judge Munley provides a detailed description of the current status of Pennsylvania law on a plaintiff's burden of proof in slip and fall matters. The court noted that, at a minimum, a slip-and-fall plaintiff must produce some evidence either that the possessor of land had a hand in creating the allegedly dangerous condition, or that he or she had actual or constructive notice of that condition. In this matter, the court found that the Plaintiff presented no evidence of the condition of the floor where she slipped. The evidence revealed that the Plaintiff walked into the store from the inclement weather outside, took three or four steps into the store, and slipped and fell. 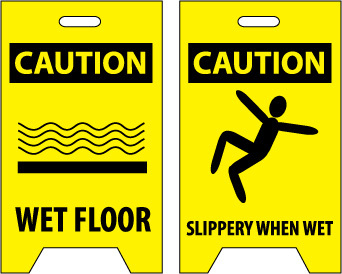 The court otherwise noted that the presence of wet floor signs in the area of the Plaintiff’s alleged fall do not establish that the floor was actually wet, since wet floor signs can be set out on a precautionary basis. Anyone wishing to review a copy of this decision may click this LINK. The companion Order dismissing this case can be viewed HERE.